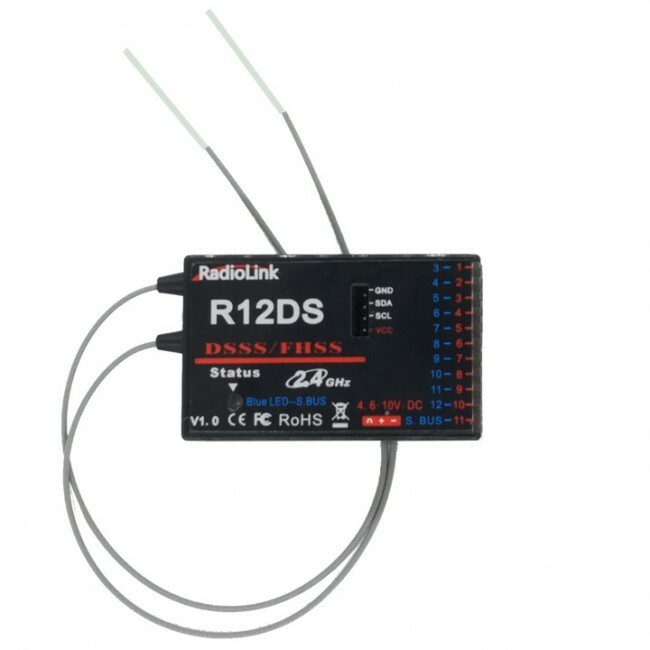 Radiolink R12DS, 2.4G 12 channels receiver, DSSS and FHSS spread spectrum working synchronously, compatible with Radiolink transmitters AT9, AT9S, AT10 and AT10II(AT9, AT9S, AT10 and AT10II can upgrade to 12 channels just upgrade by firmware. S-BUS and PWM signal working at the same time. Channels: 12 channels: output 12 channels signal, support S-BUS and PWM signal output synchronously. 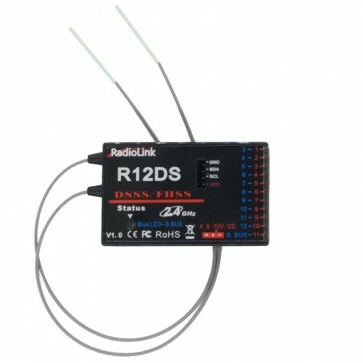 * Receiver integrate telemetry sensor including signal strength and voltage. Support extended engine voltage telemetry module PRM-01 and module PRM-02 can feedback GPS info, Speed, voltage etc. on AT9/AT9S/AT10/AT10II display when work with flight controller APM or PIX. * 4096 section precision, 0.25us per section, servo anti-shake rudder. * Control distance: about 4 kilometers air(Maximum range tested in unobstructed areas free of interference and may vary depending on local regulations).